BERLIN (Bloomberg) -- Volkswagen AG aims to reach its sales goal of 10 million vehicles three years earlier than planned as VW tries to pass Toyota Motor Corp. as the largest automaker, a person with direct knowledge of the matter said. Europe's largest carmaker targets more than 8 million deliveries by 2012 and 10 million as early as 2015, said the person, who declined to be identified because the matter isn't public, citing internal company documents. VW's official goal is to increase annual deliveries to 10 million by 2018. VW, whose nine-month sales in China surged 39 percent, will add two factories in the country as part of a 6 billion-euro ($8.4 billion) plan to double production in its biggest market to 3 million cars within four years. VW will also open a plant in Chattanooga, Tennessee, next year to supply the U.S. market and is expanding capacity in Russia. The carmaker is targeting a second consecutive year of record global sales as it adds about 70 models, including upgraded versions of existing vehicles, across its nine brands. 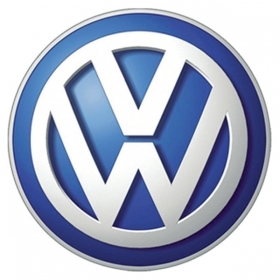 VW sold 6.29 million cars, sport- utility vehicles and light commercial vans in 2009, a gain of 1.1 percent. The carmaker's internal plans to bring forward the 10 million-delivery goal to 2015 were reported on Thursday by Manager Magazin. “We're keeping to our 2018 target but do not rule out that the goal can be achieved earlier,” Michael Brendel, a VW spokesman, said Thursday, reiterating comments made last month by sales chief Christian Klingler. Brendel declined to elaborate.